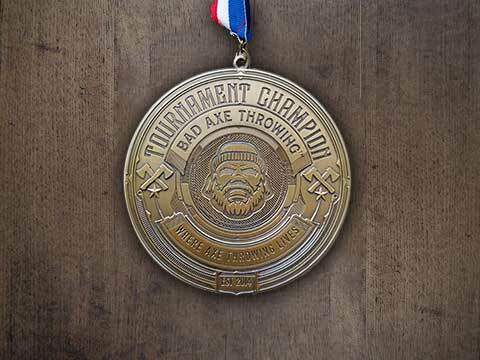 Axe throwing finally comes to Oklahoma! 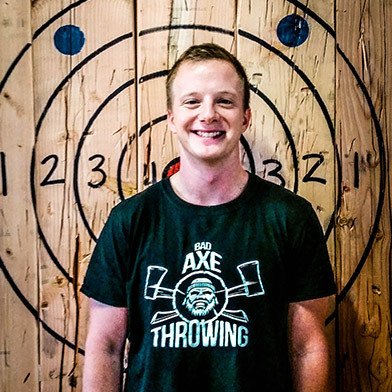 Sooners can now grab a drink and throw some axes with friends at Bad Axe Throwing's newest venue. 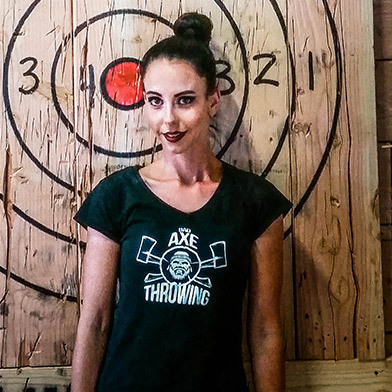 It's a great venue for birthday parties, corporate events, or group outings - pretty much anything you can celebrate, you can celebrate it by throwing axes. Hurling an axe down range and hearing the thud as it sticks to the wood is a very satisfying and fulfilling experience. It's a great thrill and lots of fun to have with friends, families and co-workers. Not only is it a great stress release, you'll also get a mini workout and of course have a blast while doing it. 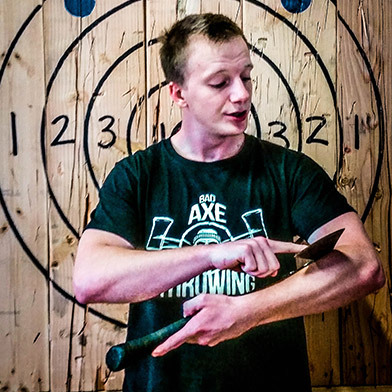 The learning process is fast and easy, our expert axe throwing coaches will make it super easy for you to pick up the art of hurling an axe. 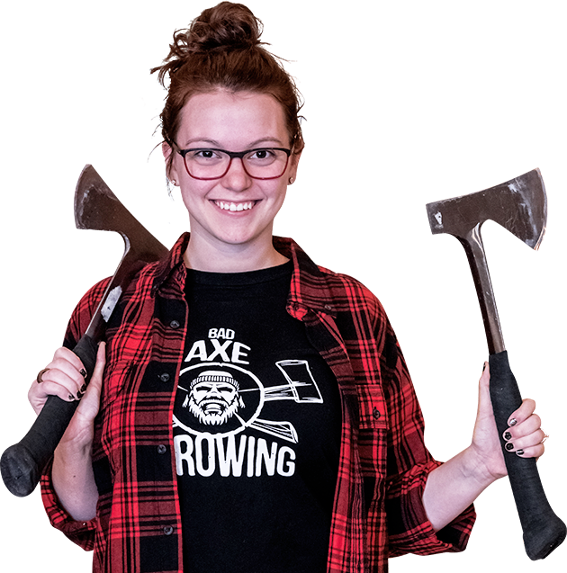 During your event, you will have a dedicated axe throwing coach that will help you get the best experience possible. 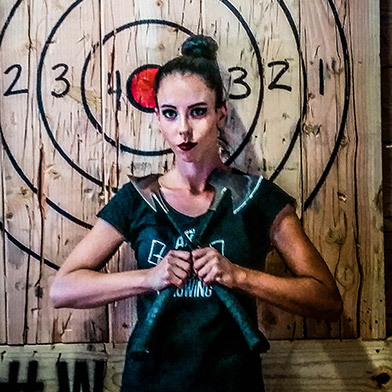 Experience the thrill of urban axe throwing, try axe throwing in Oklahoma City. Sounds like fun right? After you land that first axe you'll be hooked! Visit us at 1201 W. Reno Avenue for a unique experience and a ridiculously fun time. This was way more fun than I ever imagined, and really easy to learn. Our coach was fun and relatable making the whole process easy to understand. I sank my very first throw deep into the target! Definitely try this! You won't regret it. 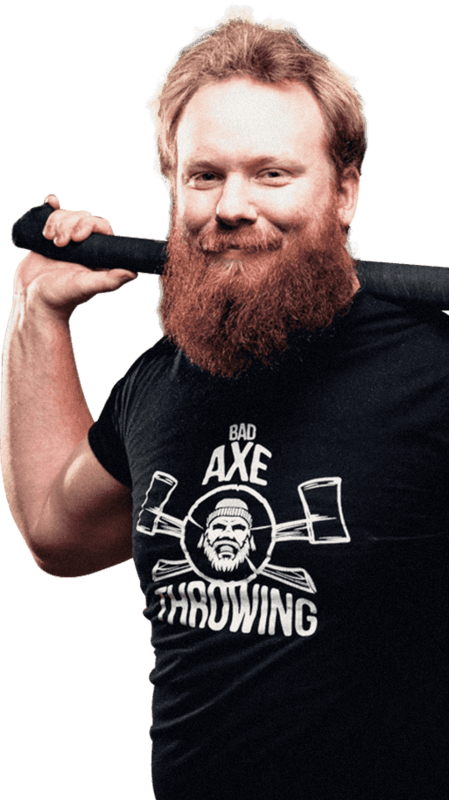 "More Fun than a Barrel of Monkeys"
Bad Axe Throwing allows you to bring your favorite party snacks, drinks and of course cake. If you’d rather have treats delivered, we’ll provide you with a list of local vendors who serve up only top-notch fare. Tables and a fridge are even provided for you to eat and keep it all extra fresh. Who doesn’t want to enjoy beverages in between axe throws? It’s the lumberjack way.